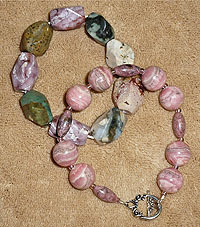 Welcome to AGUA CALIENTE CREATIONS--Inspired by Nature! 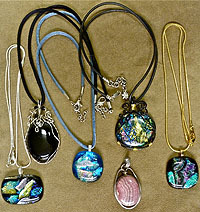 Each unique piece of jewelry is designed in the USA by the artist, who personally selects each item in the design. As artist/designer, Vickie Jo shops around the world, as well as within the United States, for the magnificent gemstones, crystals, pearls, glass beads, sterling silver, and/or 14K gold-filled beads, wire and findings. Relying on her art background and love of the outdoors, with its inspiring colors, Vickie Jo spends much time working out the overall design with beads and colors, until just the right design is chosen and carefully assembled. 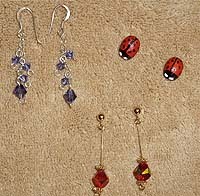 She also designs and makes available matching earrings for many of the beaded necklaces. What you will purchase is a beautiful, high quality, one-of-a-kind design, made with loving care, fine workmanship and attention to detail, to evoke emotion from you and others, and to give you endless years of enjoyment. 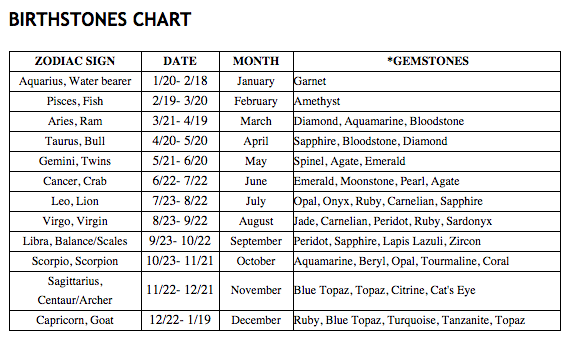 SEARCH for Necklace Sets, Necklaces, Earrings, Bracelets, or other, OR by Anniversary year, Birth month or Zodiac sign, or Chakra colors or crystals, below. Earrings for the discriminating buyer. The artist/designer, Vickie Jo Scott, has many decades of experience in art and photography, documenting the love she has of nature, animals and colors of the outdoors. She has brought that experience to her jewelry designs over the last decade, including her love of various stones, collecting unique and colorful rocks on her treks in the outdoors since childhood. 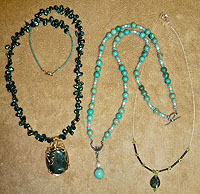 Her attention to detail in her jewelry designs is seen in the quality of her work and choice of color combinations. She is involved in all aspects of the jewelry designing, from purchasing quality stones and findings, to designing and “constructing” the jewelry. She prefers to use 0.925 sterling silver and 14 Karat (K) gold-filled (GF) accent beads and findings, increasing the value and quality of her jewelry. 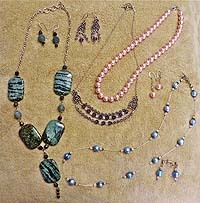 Vickie Jo prefers designing jewelry SETS -- a necklace with matching earrings, and some with matching bracelets. 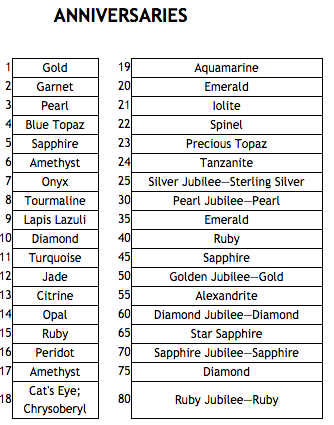 This is in contrast to most jewelry designers who don't offer matching earrings, let alone include them. What a great way to have a classy, complete look! Having spent her life in the northwest and southwest USA, Vickie Jo is inspired by the variety of colors of nature, seasons and storms. 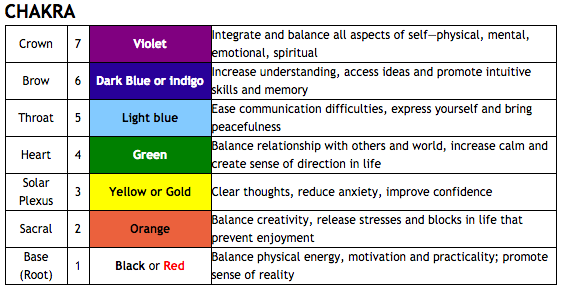 These help delineate who she is, as an artist and designer, and is imbedded in her jewelry designs and color choices. 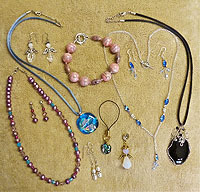 May you be inspired by her designs and want to own a piece or set of jewelry by this creative artist. 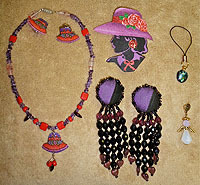 Agua Caliente Creations, Vickie Jo Scott, Designer/Artist.